Definitely a Fuente. Good construction. Even burn. Medium to strong flavor. I have enjoyed this cigar for long while and keep re-ordering it! Enjoy the easy flavor, not harsh! This is all I smoke. Best cigar for the price that I have found. Mild/Medium flavor & decent construction. You cannot beat this cigar for the price. The flavor is consistent but lacks complexity of more expensive cigars. It draws well and smokes well. I have been smoking Arturo Fuente Curlyheads for 2 years. Like most cigar smokers, I tried many more than I care to admit. Curleyheads are my favorite for a mild smoking cigar with taste and at a reasonable price. Try a box. I think you will like them too. Curly heads are a mild smoke and excellent as dessert for those who smoke. These are very consistent with roll and smoke for the price. Love these things. Can't beat the price either. These things are awesome as an everyday smoke without having to worry about spending a ton of money. Totally worth it!!!! I have been enjoying this cigar for a long time! This is a great cigar for the price. If you like cigars on the sweet side, mild to medium in strength, you will enjoy this cigar. I really enjoy these these for a every day smoke. Not in stock all the time due to the aging process taken. For the price you get a great tasting everyday stick. These are my #1 go to daily smoke. So good! The curlyhead is a very good cigar a little over priced but good. My husband loves these cigars very good quality and price is reasonable. 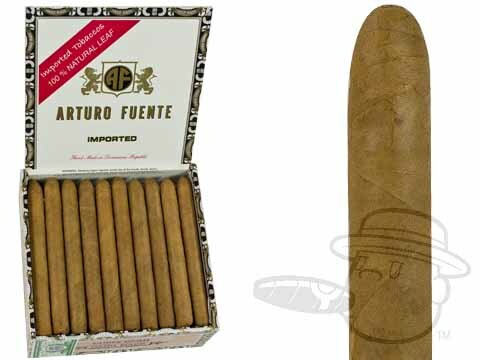 Arturo Fuente Curlyhead Natural is rated 4.1 out of 5 based on 27 customer ratings.